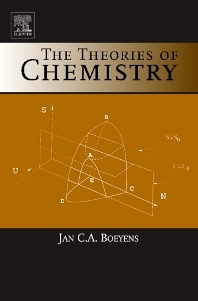 Theories of Chemistry reviews the theories that underpin chemistry, but yet are not traditionally recognized as such, being normally considered as part of physics. Based on the argument that the needs of chemistry are distinctive, a mathematical structure of topics such as quantum mechanics, relativity theory, thermodynamics and statistical mechanics, suiting the needs of chemistry, is outlined. The subject matter is arranged in a sequence that reveals the foundations of chemistry. Starting from the mathematical basis, the sequence runs through the general concepts (mechanics and wave formalism) and the elementary building blocks, to molecules and macrosystems. The book is the product of the author's reading of original literature rather than of standard texts. It differs from what is conventionally emphasized because of the different approach that it argues for the recognition of chemistry as an emergent discipline, ultimately based on the properties and structure of space and time. Hence the emphasis on otherwise unexpected topics such as quaternions, lie groups, polarized light, compressed atoms, rydberg atoms, solitons, molecular hydrogen, and phase transitions, amongst others. The topic is the understanding of chemistry from first principles. The book is self-contained and can be used without reference to other sources. All chemisty theories are covered in this one volume. Many topics, routinely referred to in advanced chemistry texts, without making them accessible to the non-specialist, are brought together. Theoretical and physical chemists. Physisists. Students and researchers at university and institutional libraries. Private scientists.